We have never been all that kind to analysts in general, but this latest batch of comments has us completely baffled. 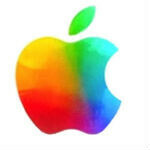 An equity research firm has put out a report about Apple and iOS 7. The report makes some bold claims, like saying that iOS 7 is "far superior" to other platforms, and goes on to predict that Apple will be extremely aggressive in pursuing patent lawsuits against those it feels infringe on iOS 7. We're sure that all the Apple haters have stopped reading already and have jumped to the comment section, but we have a big issue with this report: namely, where it's from. The report comes from Global Equities Research analyst Trip Chowdhry, and the issue we have is that Global Equities Research makes its money predicting how stocks will perform. Of course, releasing a report like this seems like a pretty shady way to have some control over how Apple's stock will perform. The information in the report is a strange mix of predictions and info from interviews after speaking to "400 to 500 people a month" at a large number of tech conferences and events. Based on those conversations, the report claims that the overall impression is that "iOS7 has a very simple, clean and uncluttered UI, which may take little time to be appreciated." Of course, iOS has had a simple, clean, and uncluttered UI since version 1.0, so we're not quite sure what has changed. The authors add that "iOS7 is completed new UI, which is far superior to anything that is available out there." There is no note in the Barron's report as to whether this is the opinion of the authors, or the opinions of those interviewed. It also doesn't mention who was interviewed, and why we should believe their opinion on an OS design that no one has seen yet. The report also says that the new UI may support new touch gestures called "bend" and "squeeze", but again did no elaborate. Then the report goes into the realm of prediction that seems to have less behind it than the interviews. Apparently, Chowdhry believes that Apple is so impressed with its own work on iOS 7 that the company is already revving up the legal team, and "Apple will aggressively go with Patent Infringement for each and every competitor that may have even tried to copy a small feature from iOS7." And, as you would expect, there is little evidence to support this claim. Of course, WWDC is next week, so we will be seeing iOS 7 soon enough, and we'll be able to judge for ourselves just how it stacks up to the competition. The only thing apple is far superior than other platforms is "lawsuits" ONLY ! I agree, and Apple should rename the iOS to i.Own.Sue. Now that was funny lol. +1 Xperia. '"Apple will aggressively go with Patent Infringement for each and every competitor that may have even tried to copy a small feature from iOS7." And, as you would expect, there is little evidence to support this claim.' Not sure if telling the truth or sarcasm. "Some survey". "Some surveys" say the lochness monster is real. ahh you got your information from a 'survey' wow.. Besides making excellent devices that just work and people want to buy. +1 mxy... No argument there. This will be interesting how accurate or inaccurate this report is after WWDC. Who cares we can't even send files over bluetooth in iOs, If all the limitations are removed I'm in. wow really ??? BT.. how many Android users use it other than geeks.. Many, since many people use bluetooth for wireless speakers, headsets, and pairing with your car's speaker system. KLP will be more further superior than iOS7! Froyo will be superior to iOS 7.